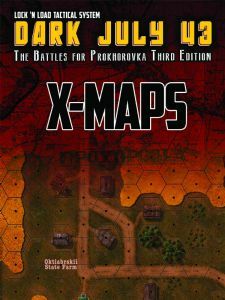 What are Dark July 43 X-Maps you ask? X-Maps simply put are larger maps able to be used with our Lock ‘n Load Tactical game series. X-Maps are the same as our standard maps in every way except they are comprised of larger hexes, which contain nearly twice the area of the standard hexes. X-Maps are 11” x 17” in contrast to the 8.25” x 12.75” dimensions of the standard maps. Requirements: Dark July 43 and Heroes of the Motherland is required to use this product. Available to Pre-Order; Estimated Restock Date: Early 2019; ​Dark July depicts the battles fought west of Prochorovka between 10-12 July, 1943. 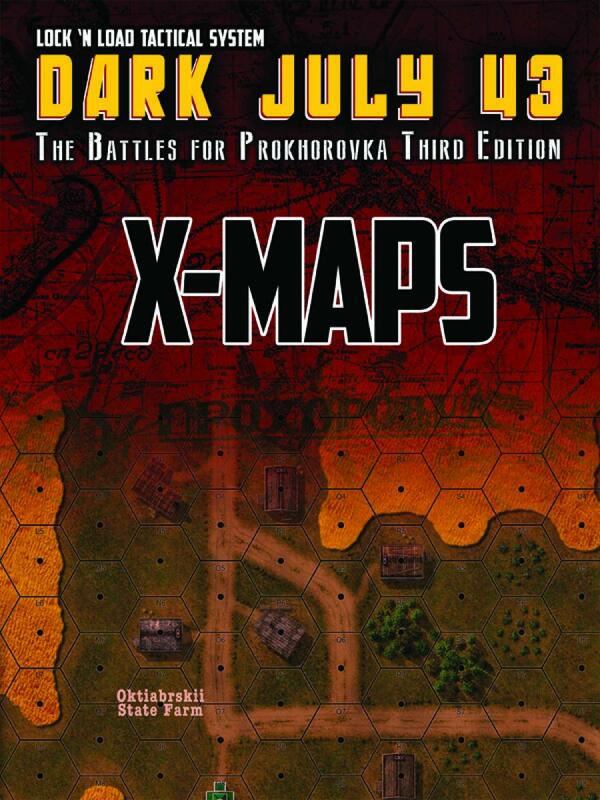 The map covers the famed Hill 252.2, the Soviet trenches to the east, and the Oktiabrski State Farm to the north.